It was Jens Christian Hoj (@creddy82), who first made me aware of the news that BMW’s boss Harald Krueger talked about a larger EV model for the BMW i range. Almost just in passing, the mentioned article in the german weekly Die Zeit also mentioned Krueger’s announcement of an updated i3 battery in 2016. 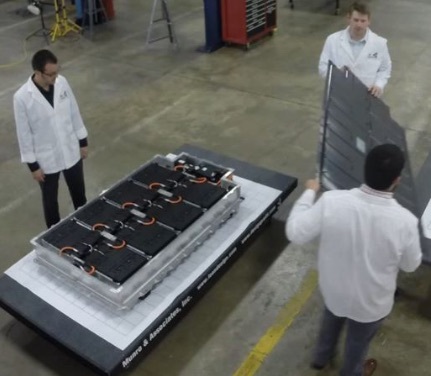 Krüger: The battery cell technology is evolving. 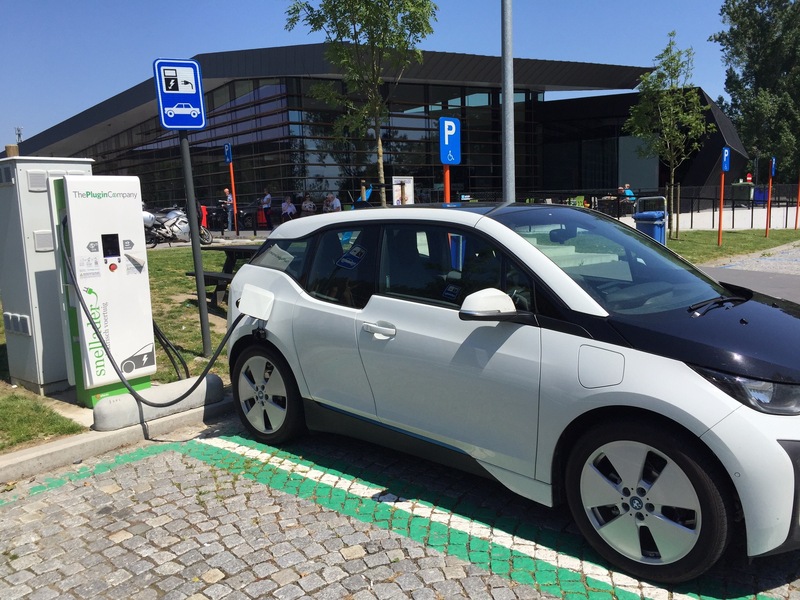 An increase in range of the i3 will come in the 2016. A bigger technological leap is likely to happen in the next three or four years. You can then travel almost twice the distance without a further increase in battery weight. ZEIT: Can I then replace the battery of my i3 against the better battery? Krueger: We are currently dealing with this question. Whilst Krueger is not going into any further details about actual range increase and retrofitting (ie swapping your old battery against the new one) options for existing i3 drivers, the topic is now being hotly discussed by the communities. Range increase: I think we will be talking about an improvement in the region of 10-20%, not more. It will provide more than enough to keep pace with the next LEAF and Bolt (for which we so far only have manufacturer’s range promises), but nothing beyond that. Retrofitting a new battery and replacing the old one (if these will be offered – a BIG IF), the next big question is: How much BMW will give you as a trade-in? In general, dealerships will be keen to once again get customers on the phone and through the door, to re-engage with them. BMW on the other side may decide to simply offer the extended battery as a new model or an extra. My guess is that the latter is more likely. Target market for potential battery replacements: Unless the potential range increase is significantly higher than 10-20%, most REx drivers will pass on a potential battery upgrade, as they parted with more money and already get decent mileage if needed, albeit burning fossil fuel. In my mind, the main target market for a battery retrofit are the BEVs, which may be able to get a boost to a 120 mi real-world range. “One more thing?” : If however this new i3 2016 evolution includes more fixes and updates than merely the battery, then an interesting upgrade cycle might emerge, as many lease deals will end by late 2016. The rub: One problem that Krueger might have created for himself now is that i3 sales may be hampered or damaged for 9-12 months, as people will either wait for the next model and go elsewhere. An announcement in January or Feb 2016 may have proved wiser. Dealers (particularly in the US, where stocks appear to be high) will have to adjust prices. This could end up as a i3-deal bonanza, who knows? 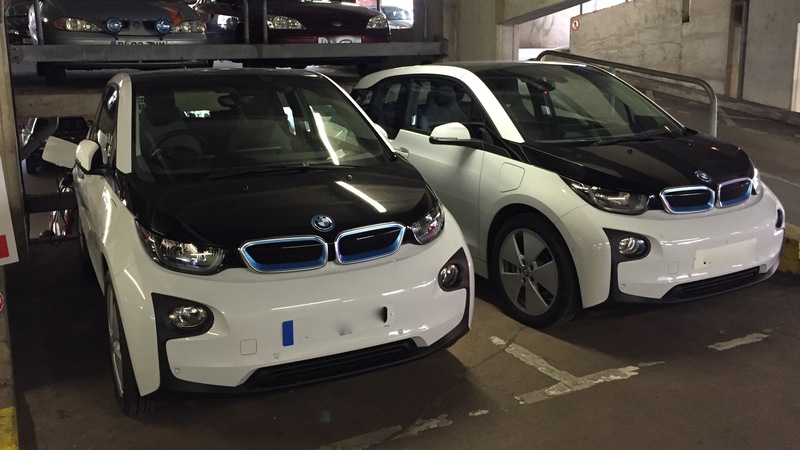 Looks like 2016 is going to be an exciting year for the i3 (but we knew that anyway) ! The actual journey started at 4:16 am in the morning, which should really prove my dedication to this nerd adventure, as I am usually not a morning person. 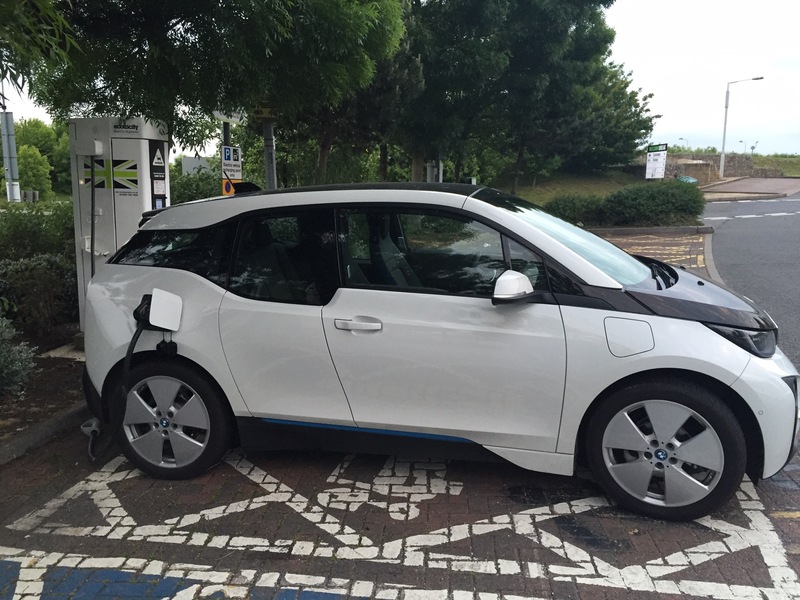 I planned for 3 instead of 2 stops in the UK, because of a CCS charger problem that Ecotricity is in the process of fixing with BMW. What appears to happen is that CCS chargers cancel charging sessions if the vehicle is below or close to 20% SOC (state-of-charge) remaining. It sounds as if the charging-station based upgrade is rolled out from next week onwards, pending BMW’s approval, but sadly that’s too late for me and this journey. CCS working fine and no other queuing vehicle (would have surprised me anyway!). Originally I planned to go further to Beaconsfield, but when I heard of CCS problems there (and the 20% issue), I decided to stop earlier along my way and left after 34 mins charge, which got me back to 95% SOC. I arrived with over 30% SOC left and the CCS charger waited for me in full working order, without any other EVs using it. All good. Left after 20 mins – just a quick top-up to shorten the big charge at Maidstone later and as a buffer in case I get stuck on the M25. The M25 was clear this morning and I breezed through. Adding a third stop meant I managed to avoid the charger issues by ensuring there was always more than 20% SOC left. 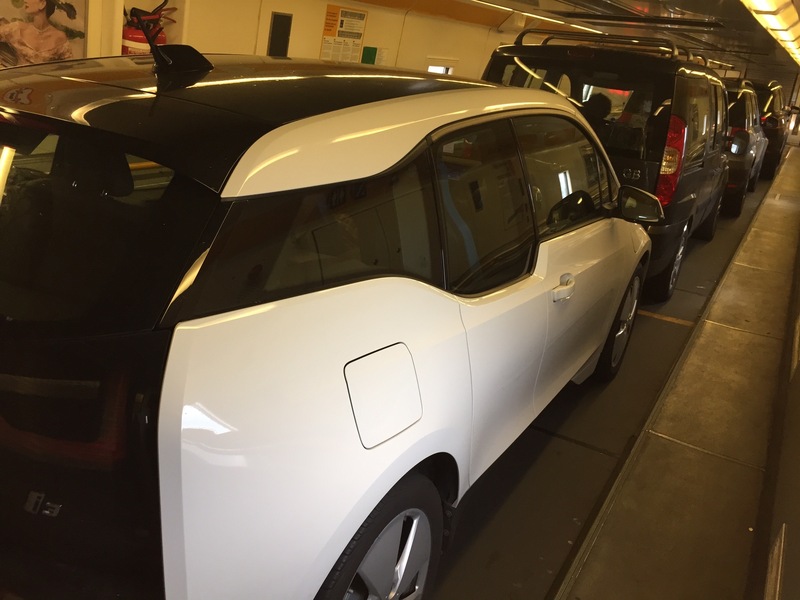 Once again, no other charging cars – I was able to get up to 95% in 35 mins, which should give me plenty of miles left on the other side of the channel. Apart from the little added complication of a 3rd stop, the charging stations all worked swimmingly well and thanks to an early start I breezed through. When planning this journey, my biggest fears were queues at the chargers, aside from the usual traffic. But this turned out to be no problem at all. Everywhere I turned up this morning, I was the only EV driver. The crucial test was obviously about to hit me, as I was now heading for Folkestone, where I took ‘Le Shuttle’ to Calais to continue my journey on the european mainland. 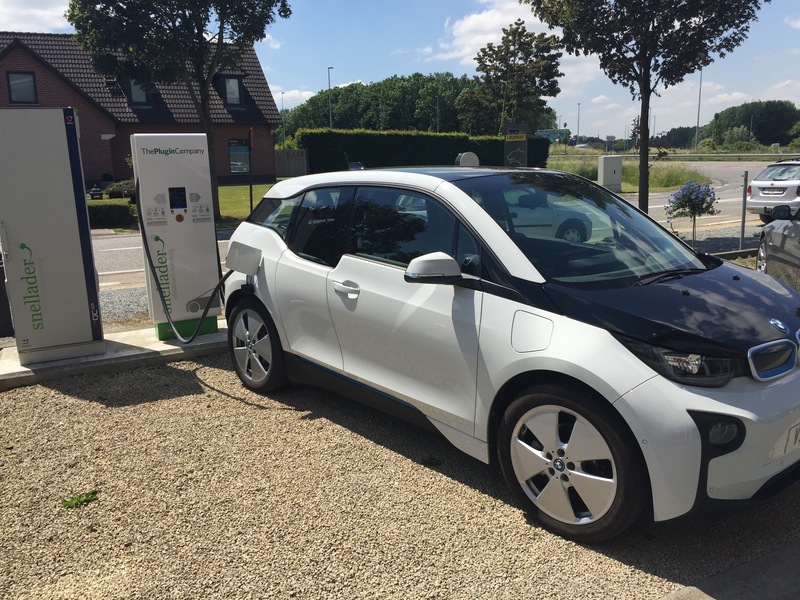 CCS on the french side is not as developed as I hoped, so I tried and to make it across the border to Belgium and head for another CCS charger on the E40 in Drongen, near Gent. For those of you who have been checking distances on the map: yes, this charger is over 80 miles away from Calais, which leaves me with a Dilemma. I could stop right after entering Belgium and opt for a (slower) Level 2 charger in De Panne, a coastal town. However I would probably have to spend 45-60 mins charging the car to 60% there to make it to the next rapid CCS charger. This was be the first occasion where my Range Extender will be used to speed me up a little. This journey is quite long and I’ve had an early start this morning, so I think I’ll save myself the Level 2 charger and burn about 6 litres of petrol instead. All I’m trying to say here is that it would have been possible to continue fully-electric at this juncture. Nice to have the option of the REx though. I arrived here quite a bit earlier than needed, but better safe than sorry, I thought. Check-in for “Le Shuttle” was slow due to a vast number of motorbikes queuing in front of me. I was booked onto the 10:50 train, taking me into Calais for 12:25 local time. 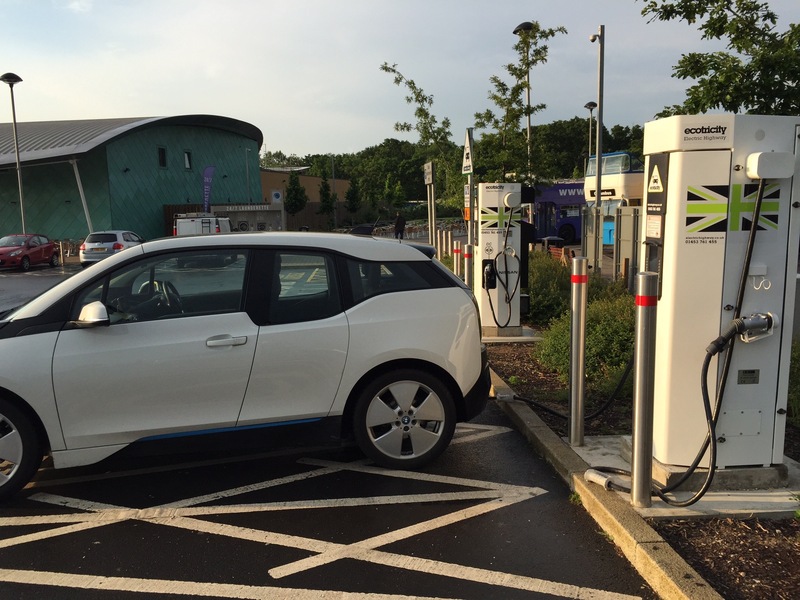 Update (25/9/15): The Channel Tunnel Terminal in Folkestone now also has a Rapid CCS charging unit, which is operated by ChargeYourCar (CYC) and currently is free of charge. I started my journey back with 52 electric miles left on the dash. 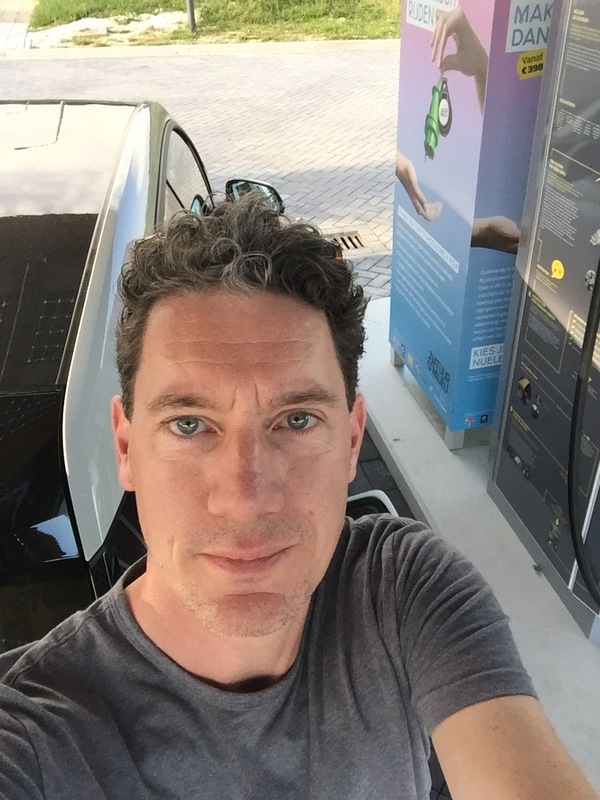 Just as I expected, I had enough to reach a Type 2 charger behind the Belgian border to top-up to make it to the CCS rapid charger in Drongen, but at this point I had already decided to use the REx generator for 40-50 miles and speed up my journey. A 30 Amps fast charge would have taken me between one and one-and-a-half hours, which I did’t fancy. I arrived at Texaco Drongen and found the CCS charger by ThePluginCompany (TPC) immediately, thanks to the clear signs by the slip road. The REx tank was about 2/3 empty and I had about 25% charge left (REx tank wasn’t full when I set off). After some small complications when trying to fire up the charge point via their web app, I gave Jonathan at TPC a call (who is very friendly, by the way!) and he enabled it remotely for me. I actually managed to figure out how to start charging via SMS later on, but at this point that wasn’t necessary anymore. 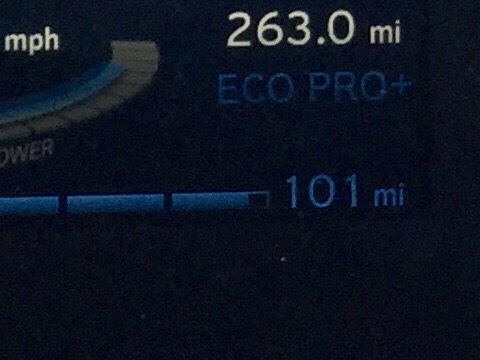 Once the car was set up for charging I fled into the shade – the i3 thermometer showed a dizzying 37.5 deg C, which was also reflected in the incredibly high max mileage in EcoPro+ mode when I set off again with 95% SOC. This Texaco station is nice and clean, with a small supermarket and cafe. There was free Wifi but I couldn’t get it working. Traffic around Brussels was horrific and it took me over two-and-a-half hours to make it to the other side of the Belgian capital, a journey that was supposed to take half of the time. But it was Friday afternoon and it wasn’t the first time I have been held up in traffic on the Brussels ring road. Exhausted but happy, I arrived in Kortenberg to start the charge point, when a friendly receptionist from the VW dealership came out, waving with a TPC RFID card. I was invited to come in for a coffee and use the internet, which was nice. She also suggested I should have a look at the eGolf and GTE models, but I am happy with my i3, I assured her. After a 95% recharge, I sat back in the car, starting to feel exhausted. I had another 81 miles to go to my Dad’s house, but was keen to try out the FastNED rapid chargers just behind the dutch/belgian border in Eijsden. The temptation to simply skip this last charge, use the REx again and arrive earlier was immense. But I stuck to my original plan. FastNED – charging in style! Well, and was this little detour worthwhile or what? If anybody wonders what the future of EV charging should look like, this is it (or at least very close). I arrived at the FastNED charging station in Eijsden without any other cars currently using it. But then it was a Friday early evening after all. 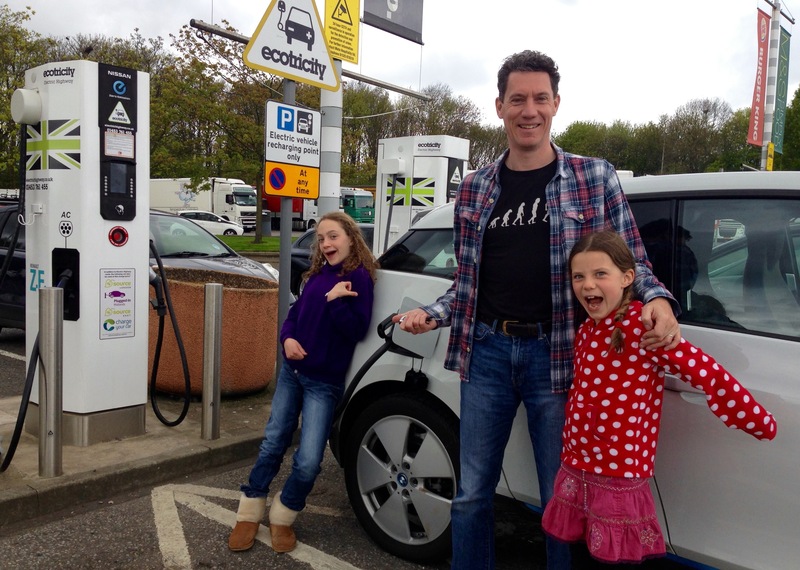 I had already signed up for FastNED whilst at home, so using the app and enabling the charge point was a breeze. All they want is some credit card details, which are entered via the app. Each charge station also offers free Wifi, by the way. Once your account has payment info, you’re ready to go. I charged the i3 enough so I could afford some “fun and brisk driving” to my Dad’s. A 25 mins session cost me €8.85 – my first chargeable battery charge of the day, would you believe it. This might sound much, but can be reduced by joining a monthly subscription scheme. As this was a one-off charging session, I paid the standard tariff. Exhausted, but happy, I arrived at my Dad’s house near Aachen after a total journey time of almost 14 hours, having driven 432 miles. As mentioned before, I have done this drive many times and my best time is somewhere around 8 hours for an overnight drive, basically avoiding any traffic congestion. 14 hours is probably 1-2 hours above average, but given that I usually take the ferry instead of the tunnel, I’d say charging added about 2 hours to my average travel time. Surprisingly, the main problems on this journey were not the charge points, but the heat and the traffic on a Friday afternoon. I am glad I used the REx for about 12% of this journey, as it probably shortened my travel time by 60 to 90 minutes. 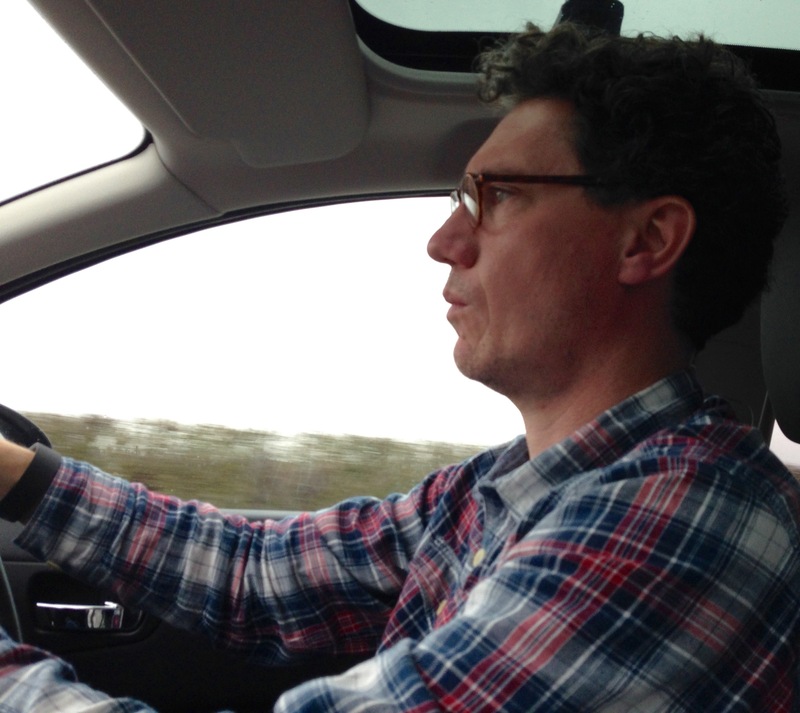 Click here to read “The Electric Way Round – Aachen to Midlands (Part 3)”. 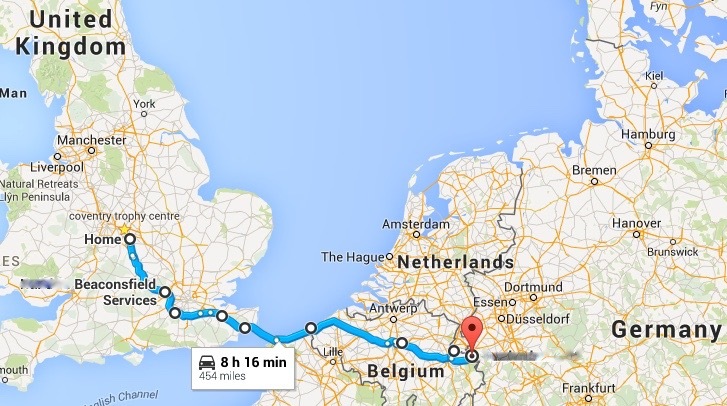 Journey ahead: 454 miles (726 km) according to Google Maps – 8h sounds a little optimistic! Ever since ordering my electric vehicle, I have had the desire to not only plan, but actually take my car on a trip from my home in the Midlands, UK, to my home town of Aachen in Germany. Some of my planning and considerations are described here. The actual journey will be reported on later in all its glory. This is a journey of about 450 miles (720 km). Now, I have read blog posts from plenty of EV drivers, who took their pure electric vehicles on trips of similar distances within the UK. The difference of this trip is obvious: I am leaving the UK, crossing at least France and Belgium, potentially also the Netherlands. I am saying “potentially” because I might have to make a little detour to top up before reaching my destination. What you have to keep in mind is that despite the recent growth of car charging infrastructure, which happens at an impressive level, EV charging is still very insular and country-dependent when you cross borders. Think mobile phone networks in the 1990s on steroids. I am referring of course not to Tesla’s Supercharger network here, which is free to all current Tesla owners and available anywhere in any country. Since I drive a BMW i3 Range Extender, two aspects are different: 1. my car is not compatible with Tesla chargers. But, 2. I have a little petrol generator (that’s the “Range Extender” bit), which can take me out of sticky situations should I run out of electrons. It basically holds the state of battery charge for an additional 60 miles, on top of the roughly 75 electric miles the i3 with Range Extender can do. However, I want to try and restrict myself to electric-only use for as much as I can and only utilise the Range Extender (or “REx”, as it is usually referred to) in emergencies. For those who will tell me that a Tesla Model S could do the entire trip with 1 recharge: you too are absolutely right. But I chose an i3 as for our daily use an EV with a lower range fitted the bill. Longer distances can be covered by our Diesel family car. In essence, this trip is a little bit of fun and nerdy excitement. (and not buying a Tesla also meant that I spent ca £30k less of our kids’ inheritance). As the map image further above shows, my planned electric trip is along the british M40/M25 and M20 motorways, then crossing the English Channel via Eurotunnel in Folkestone. From Calais, I’ll make my way along the E40, around Brussels and then towards Aachen. This is a trip I have done numerous times in the past – I could almost do it blindfolded. Difference this time is obviously the fact I’ll be doing the trip in an electric car, aiming to use as many Rapid Chargers as possible. 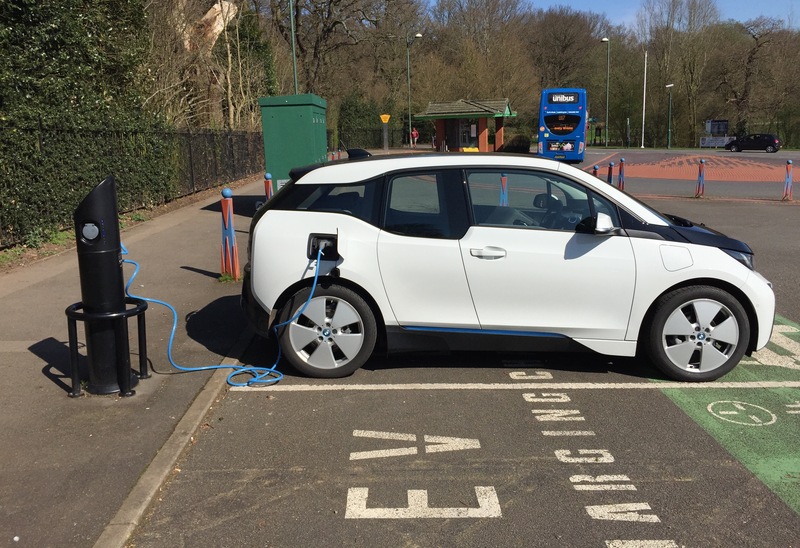 CCS (Combined Charging System) rapids can charge an i3 to 80% in 25 mins, with a full 100% charge taking approximately 45 mins (nb. the i3 onboard charging electronics actively slow down any charging above 80% in order to protect battery life). CCS Rapid chargers are therefore my preference, as I don’t fancy waiting for slower fast chargers, which might take up to 4h for a full recharge from 0%. 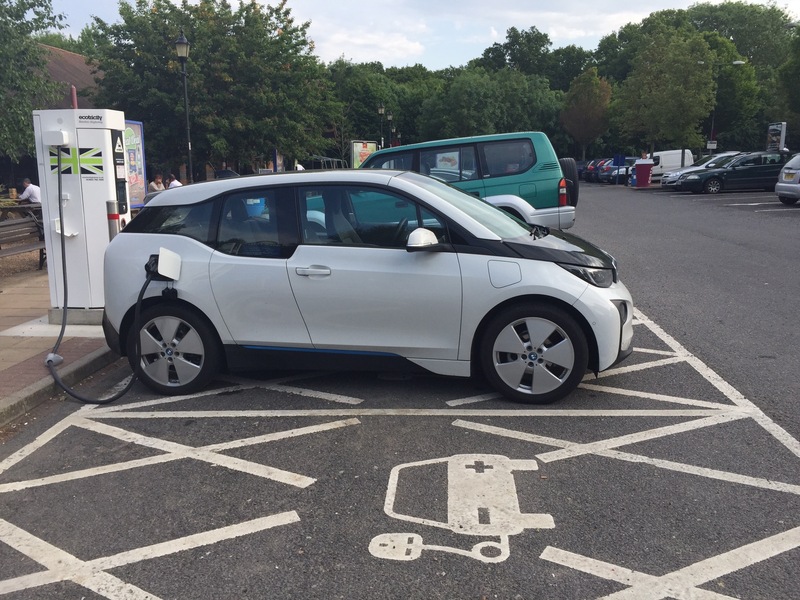 ChargeNow (GB) – BMW’s charging network, provided by Chargemaster. Provided in multiple countries, but my subscription only gives me access to the british network. ThePluginCompany (B) – TPC operates a network of free (subsidised?) chargers in Belgium, including some CCS in places, which will come in handy. 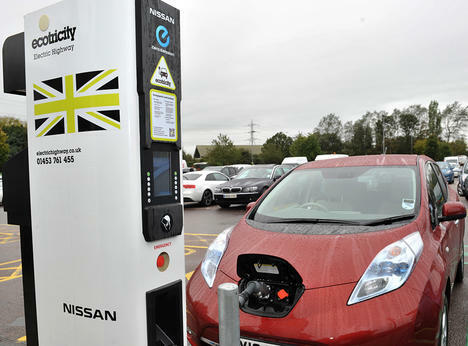 Charge points are enabled by SMS, RFID card or a QR code, through portal login. I have an active signon for TPC, which should be sufficient. A friendly TPC admin also gave me his mobile number, which I can use in an emergency! TheNewMotion (B) – My TNM subscription will give me access to the same chargers as the ChargeYourCar network card from GB, but I thought it’s better to have one of these just in case. 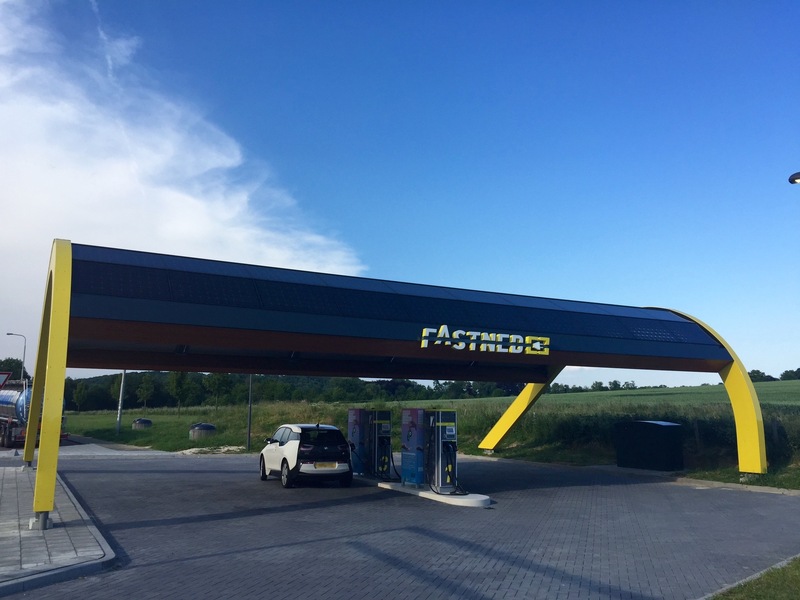 FastNED (NL) – FN is the cool kid on the rapid charging block, calling a vast array of mushrooming, solar-panelled charging stations throughout the Netherlands their own. Sign-up process is the shnaz: simple and fully mobile enabled, no RFID card needed. You can basically turn up and charge, if you like. Alas, charging rates are currently relatively high (€0.83 / kWh for non-Subscribers, €0.39 / kWh and €12 per month for subscribers on a 30 day rolling subscription). Click here to read “The Electric Way round – Midlands to Aachen (Part 2)”. This is a blog I have been thinking about for quite some time. I want to use it to talk about all things generally relevant and connected to electric mobility. Although it will mainly be about my experiences with my own electric car, worry not, I’ll always try and keep the bigger picture in mind. I already have a Twitter feed about EV news, why not follow it? In case you are wondering where “Pixelbase” comes from: it basically a continuation from my website and business name. I work as an IT freelancer and would describe myself as a general geek. In this day and age, everything grows and converges. I more or less see Pixelbase Electric as an extension of what I do for a living.